Finally, the new 2018 Ford F150 diesel is hitting the streets. 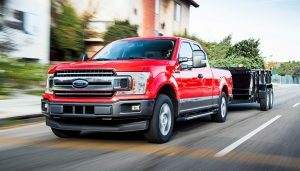 Until now you could only get a diesel engine on a Ford pickup if you went with one of their Super Duty trucks, but Ford’s seen fit to sell its most popular pickup with diesel power. This might seem like a big shakeup, and in a way it is. But the shift was brought about more by shifting competition and customer preferences than anything else. We’ll never know definitely why we didn’t get a Ford F150 diesel in the lineup until now. There are several factors that no doubt contributed to the delay, some more than others. First off, all automakers like to draw clear lines between their different products. Ford obviously thought that restricting diesel engines to the Super Duty trucks made them special. Most people in North America likely associated a diesel with heavier-duty trucks, often duallies. That perception shifted when GM offered the Chevy Colorado and GMC Canyon twins with an optional diesel. Being smaller trucks, and that engine becoming quite popular, the shift started. Then, Ram announced it would start using the EcoDiesel in its 1500 series. Don’t think it was coincidental that GM, FCA and Ford all started exploring diesel engines for more of their truck lineups around the same time. Thanks to tightening government fuel economy standards, all three are looking for any edge they can find. Diesels are well-known for not only being durable, but also for sipping fuel. Keep in mind that Ford is also working on a hybrid powertrain for the F150, for the same reasons. Those are some of the larger reasons likely fueling the new Ford F150 diesel. More entertaining is exploring what the new pairing offers. Ford isn’t going with some monstrous engine for the F150. 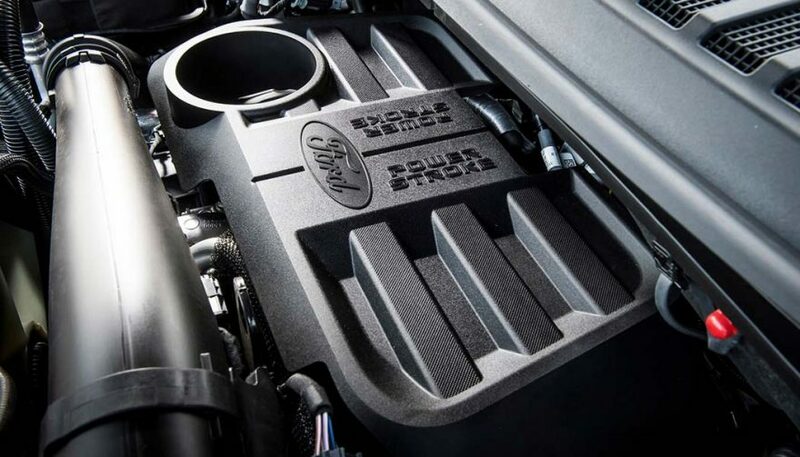 That’s not to say the 3.0-liter V6 Power Stroke diesel engine isn’t a little beastly. Just don’t expect it to come close to the Power Stroke engines offered for the Super Duty models, because there’s no comparison. With a Power Stroke under the hood, the F150 becomes a little burlier. Ford says the truck can tow 11,400 pounds and handle up to 2,020 pounds in the payload. Hitch up a good size boat, throw in a bunch of landscaping blocks, or do whatever you want with this setup. That kind of performance is made possible because the engine throttles out 440 lb-ft.of torque, plus 250 horsepower. Like I said above, fuel efficiency is another benefit and reason for offering a diesel engine. This Power Stroke should get an EPA highway rating of 30 mpg, which is great for a full-size pickup truck. 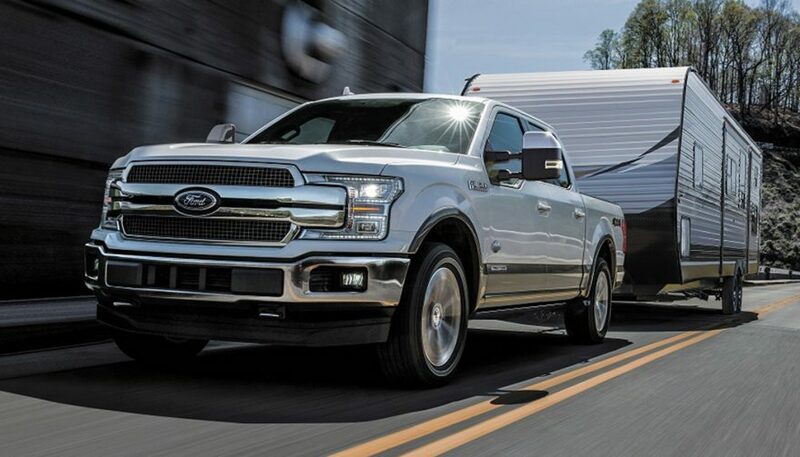 The Ford F150 diesel will also sport auto stop-start as a standard feature, and the 10-speed automatic transmission should make sure the engine is running as efficiently as possible. 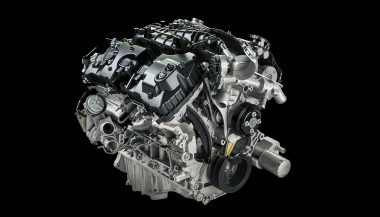 To create this 3.0-liter diesel engine, Ford said it borrowed technologies from the 6.7-liter Power Stroke used in the Super Duty lineup. It used the same powertrain team to make this smaller engine, using the same design principles. Among the designs is the compacted-graphite iron block for the engine itself. The forged-steel crankshaft actually comes from the 2.7-liter EcoBoost, which apparently is more than enough to handle diesel duties. That choice helped keep weight down, which is key for performance, including fuel efficiency. The common-rail fuel injection system also helps with conserving diesel. That system uses an injection calibration of 29,0000 pounds per square inch, which keeps emissions down, plus makes the engine less noisy and overall smoother in its operation. In other words, forget what you think you know about diesels, because this design pushes beyond the stereotypes. Bolted up to the engine is a variable-geometry turbo. That keeps turbo lag low and makes the engine feel more responsive. Another key factor is the fact that peak torque comes on at only 1,750 rpm. That’s key for getting moving with a heavy load or trailer hitched up to the truck. One of the most interesting choices is the inclusion of a mechanical engine-driven cooling fan. Other diesels use an electric fan, but Ford claims that’s a negative since in high-temperature and high-altitude situations those engines must reduce power output. 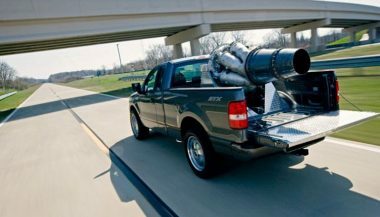 Of course, you’re likely wondering if a Ford F150 with a Power Stroke diesel engine outperforms competing trucks. Compared to the Ram 1500 with the EcoDiesel engine, the F150 barely edges it out on peak torque, by 20 lb.-ft. If Ford can hit the 30-mpg mark (it’s an EPA-estimated number right now), highway fuel economy for the Ford is better by 3 mpg. Max towing capacity is about 800 pounds higher than the Ram’s. The Ford wins out in payload capacity by about 140 pounds, too. Aside from announcing it will offer a 3.0-liter Duramax, Chevrolet hasn’t released specs for its new 2019 Silverado. 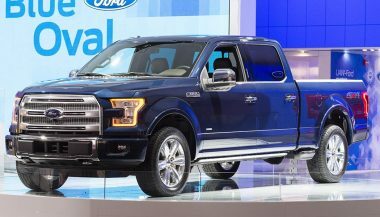 However, expect it to be competitive with Ford F150 diesel option. If you’re interested in the Ford F150 with a diesel engine, that option should be available starting in the latter part of March 2018. Ford is entering the fuel efficiency race with a diesel engine offering of their own in their immensely popular F-150 lineup.